TRMK - Mortal Kombat News - MKast Episode 9 is Now Available! MK9 Teased Again! Episode #9 of MKast has finally been posted over at Worlds Collide and on iTunes. This new episode features special guests MK Creative Director Ed Boon and Senior Designer Paulo Garcia. This episode was created just after the game's release and their initial reaction to the players getting their hands on the game. They also reveal some Fatalities and Pro Moves, which due to the late release of the podcast are already known. Lots of topics are discussed from past to future games. What I really enjoyed was Ed talking about the past and how Fatalities all had to be discovered in the arcades. He wouldn't tell people how to do them, and always be amazed when he saw someone do them. He mentioned how he first saw someone do Shang Tsung's Kintaro Morph Fatality from Mortal Kombat 2 at the now closed Dennis' Place For Games. These are the days that I miss, of the community having to actually discover each fatality one at a time. I remember going to the arcades each day to see what else has been discovered, or even rushing to the arcades after reading about a new discovery on the Usenet. Brings back some great memories. 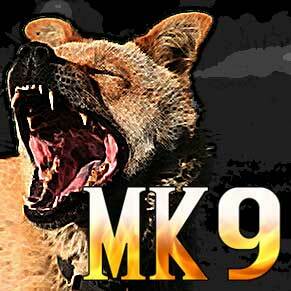 During the MKast they also teased Mortal Kombat 9 again, which they jokingly referred to as MK9: Attack of the Dogs. We're not sure what that means, but it'll be interesting to see what they have up their sleeves. Ed had mentioned before that development has already begun in some form. Since the engine is already in place, I'm sure it wont be too long until we know more about the next Mortal Kombat game. I just hope it doesn't have a "Attack Dog" feature like Call of Duty: World at War does! Thanks to MK_Sarah over on the Midway Boards for the headsup. The link you have is actually for episode 8, which unfortunately I didn't realize until about 2/3 of the way through listening to it. LOL attack of the dogs? lol nice I love hearing Ed talk about the GOOD OL DAYS. Hehee, I beat the Attack of the dogs is just a code for we're about to see a 3 headed dog or something that looks like Anubis. X-D' Either way, its better then a zebra fighter so lets be grateful on that much. Next time please PM me stuff like this, don't post it here. As then I get email notification, I didn't read this until now. Wasn't much of a teaser, but the discovering fatalities, well idk about that, good thing there are strategy guides.